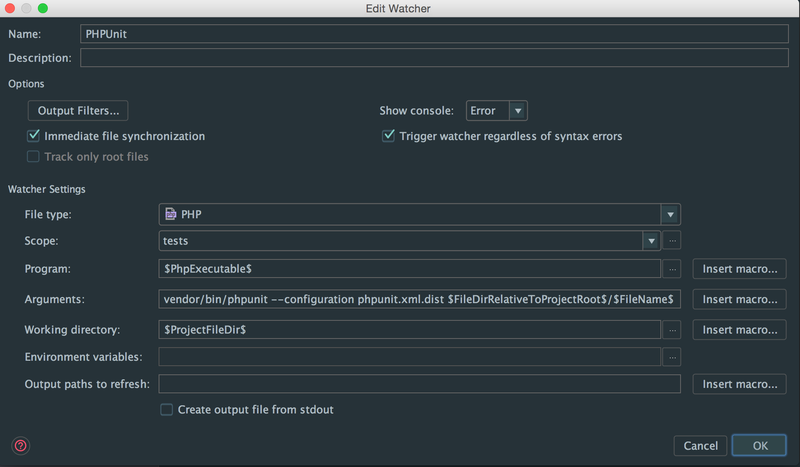 You can setup PHPStorm to run PHPUnit every time you save a unit test. By doing this you get immediate feedback if your unit tests are passing as you write them. And by running PHPUnit only against the current file you’re editing it can run really fast. Scope: click the … to create a new one called tests and use a pattern like file:tests/*. * if tests is the folder all your unit tests are located in and call it tests or something.